Our advice is to avoid the busiest periods and instead take advantage of the quiet weeks, when you could have the pistes virtually to yourself and your accommodation will be significantly cheaper. When is the best time to learn? Absolute beginners can learn to ski at any time during the ski season (typically early December until late April) and expect to get tuition with one of the licenced ski-schools which operate in just about every ski resort (or ‘station’) in France. Our advice, though, is to avoid the busiest periods and instead take advantage of the quiet weeks, when you could have the pistes virtually to yourself and your accommodation will be significantly cheaper. The weeks before the Christmas and New Year peak time may offer a bargain ski holiday but beware, as snow conditions may not be good until later in the season. If you’re considering a last minute offer, check the live webcam images for the area before deciding. Snow cover can vary enormously between ski areas. Good For: those who can get away at short notice and take advantage of early snowfalls. Until the French schools begin their half-term holidays in early February, January can be an excellent time for learning to ski. Snow conditions are often at their very best and slopes have relatively few skiers, but it can be very cold and the days are short. Lower ski resorts are also more likely to be traditional mountain villages which offer a more authentic French ski experience. Try resorts like Les Carroz or Samoëns in the Grand Massif ski area, or Morzine, Les Gets or Châtel in the Portes du Soleil. Avoiding the two weeks around the Easter Holidays, you should still have good conditions. It will be less cold thanks to longer days and the onset of spring. Beware of south-facing resorts at this time of year as their lower slopes can get very slushy in the afternoons, creating difficult conditions for learners. 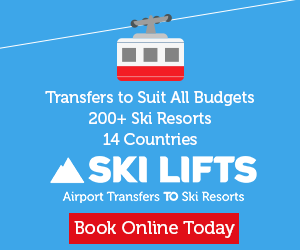 Find a resort which is predominantly north-facing such as Valloire in the Maurienne Valley or which offers some easy, high- altitude terrain like Les 2 Alpes, Tignes or La Plagne. 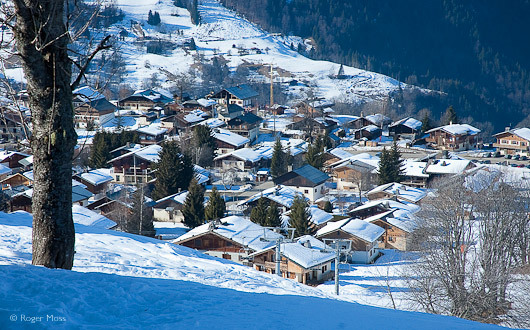 Les Saisies – Lively ski village with beautiful views of Mont Blanc. It has one of the best sunshine and snow records in the Alps and plenty of wide, gentle slopes for learners and intermediates. Les Gets – Gentle learner slopes and stunning scenery in this friendly ski resort with comfortable hotel or chalet accommodation and lively village. Plenty of terrain to practice those parallel turns. Alpe d’Huez – Big mountain resort with plenty of easy slopes close to the village it’s also perfect for mixed ability groups as there is varied skiing over 250km of pistes. There’s also plenty to do off the slopes and is great for nightlife. La Rosière – sunny aspect resort in the Tarentaise Valley with gentle runs for beginners. All accommodation close to the slopes. 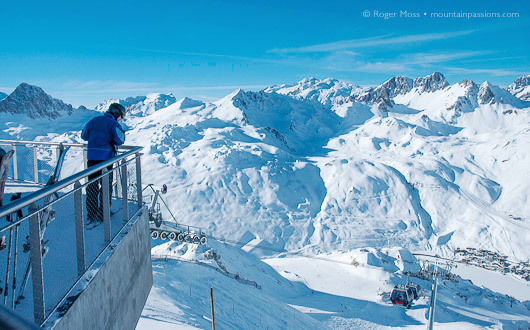 Les Arcs – Big resort skiing with lots of wide pistes perfect for beginners. Choice of villages according to your own preference but virtually all ski-in ski-out. Les Menuires – Part of the huge Three Valleys ski area. Beginners can learn on the wide gentle slopes around the village and easily progress to steeper terrain and to visiting other parts of the area. Montgenèvre – Probably further than most beginners want to travel but a personal favourite of ours, Montgenèvre is right on the Italian border and has a great sunshine and snow record. 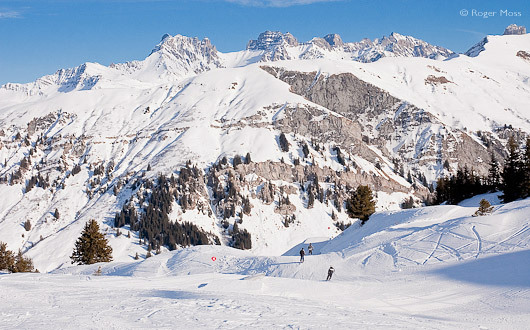 There are lovely wide pistes to practice carving those skis and some sheltered tree-lined runs to enjoy. The family resort of Le Grand-Bornand has an easily accessible beginners area which is specially designed to welcome novice skiers of all ages. At Tignes there’s a small incentive to learners with access to all its green graded slopes free of charge. 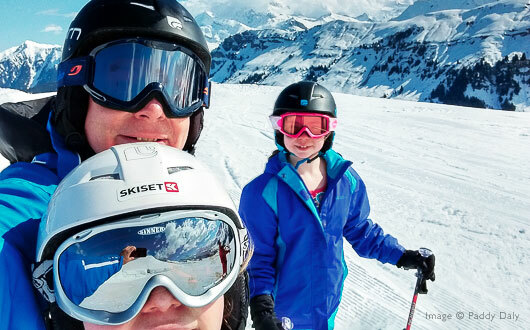 Valloire also has free lifts in a dedicated area where anyone can practice on gentle slopes – great for young families. Beginners will need to buy or borrow some basic ski clothing. Buying skiwear to learn needn’t be expensive, with sports outlets such as Decathlon selling “basics” at very reasonable prices. Beginners spend more time standing around and falling down than other skiers, so wear several layers, a polo neck, a helmet, and in really cold weather, some thermals as a base-layer. Ski-jacket with an inside pocket – many resorts have a hands-free lift pass which can be placed inside your jacket on the left-hand side but not next to your mobile phone. Don’t be tempted by padded or puffa jackets, which will soon overheat you when the sun shines. Salopettes. Budget price salopettes (ski trousers) are fine to learn in. Spend a bit more to get breathable, stretchy fabric that gives more overall comfort. Never attempt to ski in jeans. Ski-socks. Our tip is to spend a little more on two pairs of smooth, fitted ski-socks rather than a temptingly cheap pack of towelling-lined ‘tubes’. Your feet will thank you. Ski-gloves or mittens must be waterproof – look for ones which have a clip allowing you to attach them to your jacket. 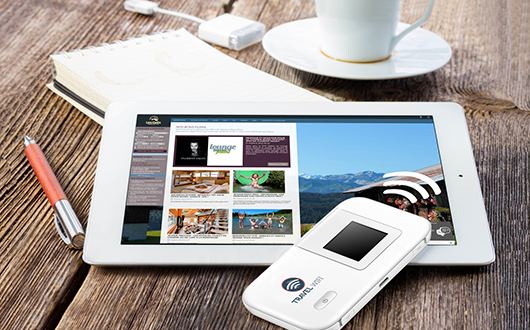 Losing them (or dropping one while on a chair-lift) is a disaster. Ski helmet. Essential for children but now worn by most adults. They are compulsory in Italy and Austria and some states in North America. Helmets can be hired along with your skis and boots and help protect your head in a fall or if someone bumps into you. Our advice is to wear a helmet from day one. Sports sunglasses. Don’t wear expensive sunglasses; get a pair of cheap sports glasses designed to take shocks – and make sure they absorb 100% UV, which is higher at altitude. In really cold conditions, or if you experience bad visibility during falling snow, you will be more comfortable (and be able to see more clearly) with ski goggles. Lenses are tinted in various colours, lighter ones generally being more useful as light levels drop in poor visibility. Dark lenses, logically, are intended for brighter conditions. Shoe size, weight, and ability. Trained hire shop staff will do their best to fit you with the correct size boots, and the skis most suitable for a beginner. Make a note of your European shoe size and your weight in kilos before you go, although most hire shops have English-speaking staff who tend to be familiar with British shoe sizes and imperial units. You will be asked for your weight and your skiing ability. Always be honest about this – your answers will determine the precise settings on your skis which will release you safely should you take a tumble – if the settings are incorrect and your feet remain fixed to the skis you can twist a knee, or worse. Either way, you won’t be skiing again that week. Boot fitting. When you try on ski boots for the first time you won’t believe how tight they can feel. However, once on and correctly fastened they should become more comfortable. When you ski you’ll be leaning forward, so try to do this by bending your knees slightly when you try on the boots; your toes should not feel cramped. When you start to ski, if your boots feel loose or if you experience any discomfort (tingling, cramps or sores) don’t be afraid to return them to the shop. Skiing should be fun but in the wrong size boots you’ll be miserable. The staff will check that the boots are being fastened correctly and, if necessary, exchange them. Since your ski bindings must be adjusted to the specific dimensions of the boots you’re using, have your skis with you for re-adjustment. The right skis. If you feel your skis aren’t doing what they should, have a talk with your ski-instructor, or discuss the problem at the hire shop and get their advice. Ski helmet. Don’t buy a helmet just to learn, hire one with your other equipment. It’s not expensive and it can save your life. Faced with so much choice, choosing somewhere to stay on your first skiing holiday can be confusing. Here’s some insight to help you in your decision-making. Sociable types could opt for a catered chalet or package deal – great if you want to avoid cooking and love meeting other people. Beginners may prefer to be with a group of other learners, to share experiences and get mutual support. A good option for couples who want to relax away from the crowd are hotels offering half-board deals. These are often terrific value but you have to be prepared to take what’s on offer for the evening meal and may feel that you’re missing out on visiting restaurants. Self-catering holidays will definitely save you money on your first ski trip, and often well beyond. Budget apartments are often located beside the ski slopes but may lack the space, comfort and facilities you might expect. Go for a mid-range apartment and you will find the greatest choice, with some amazing offers outside the busiest periods. 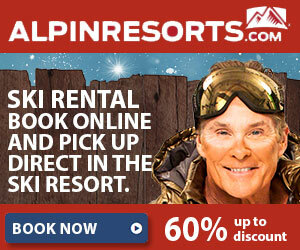 Visit our Latest Ski Offers page some great deals. Many new apartment complexes have pools and spa facilities as well as being ski-in/ski-out. Beginners should enquire whether the ski access is suitable for learners, though, and remember that you may need to walk to your ski-school meeting point on the first day or two, so ask whether this is possible. The largest ski school in France is Ecole du Ski Français (ESF). They are present in every ski resort and teach in a traditional and effective way, both in groups and to individuals, or those with special requirements (Handiski). As the tuition programme is exactly the same throughout their schools, you can visit different resorts and know that you’ll be able to pick up where you left off. Most ESF instructors in the larger resorts speak some English, and you can book your lessons in advance on the English version of the ESF website. If you require an English-speaking instructor, request this when booking. If you prefer to have an English instructor, you can enrol in one of the many independent British ski schools in France. Search for a British ski school in your chosen resort or check the resort website for a list of ski schools and contact details. There are a bewildering number of ski hire shops all of which will offer a good standard of service. If you are travelling with a tour operator they often establish links with hire shops and may offer a discount. If this is not obvious, ask them which they can recommend. Often, the shop nearest your accommodation is the best one to go to as it's easier to change and take equipment back at the end of your stay.